This post is sponsored by a caught up college student and a rainy Tuesday. I honestly believe Netflix is one of the greatest businesses the world has ever seen. Being able to being watch seasons and seasons of shows or rewatching “The Breakfast Club” 50 times is exactly what this generation needed. 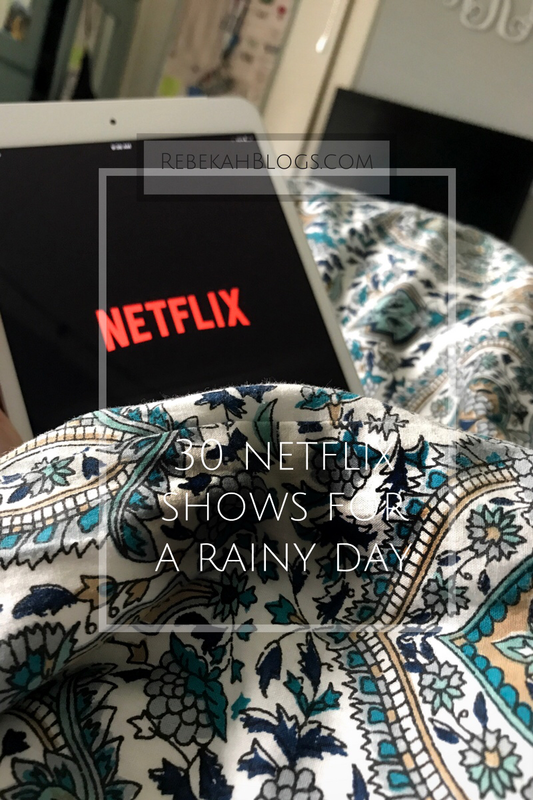 We thrive off of quick responses and satisfaction and that’s what Netflix has created, but when the show ends sometimes it’s hard to find another show to dive into. I decided to create a list of my favorite shows and or movies off of Netflix. Perfect for when it’s a rainy day inside or when you FINALLY finish Greys Anatomy! Love this! I’m a Netflix binger myself, so I can totally relate. 😉 So many of my favorites are in your list! I loved The Office, Parks and Rec, How to Get Away With Murder, 13 Reasons Why, Friends, Gilmore Girls, and Unbreakable Kimmy Schmidt! One of my favorite Netflix originals though is Sense8! So excited for season 2! I’m so excited for the new season of unbreakable kimmy schmidt! !